Today's blog has been written by our social media ambassador Cathie who came along to the Bell Square performance of H.O.H by Far from the Norm. Here's her take on the event and some amazing photos she captured on the day too - just check out the gallery below - just click on the images to see the whole sequence. Thanks again Catherine and we look forward to welcoming you back soon. 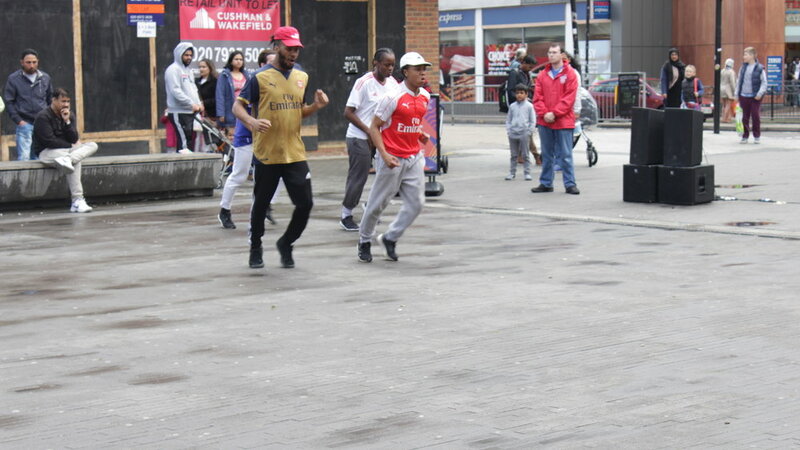 Blog review by Catherine: 'Far from the Norm' performed today at Bell Square in Hounslow. It is an interactive dance group that uses the hip-hop genre of dance to connect with the audience. Although a sudden shower had threatened to put an end to the afternoon activity even before it began, the Sun soon came shining through the dark clouds. The organisers heaved a huge sigh of relief and began humming the famous Beatles number ‘Here comes the Sun’ as they wiped the benches and swept the square dry. Soon the bell was rung on Bell Square to indicate the beginning of the performance. A curious crowd had already gathered around looking forward to this week’s performance. It was a bunch of people of myriad ages and hues. Right from the swinging sixties to toddlers in prams, it was a sight to behold as they all swayed to the beats of the hip hopping dancers. The dancers worked their way through the crowd and even persuaded a bunch of happy kids to join them in their dance with a skit woven through to convey a message, which I thought was about ending the fighting and war in Somalia. It ended abruptly with the crowd waiting for more! 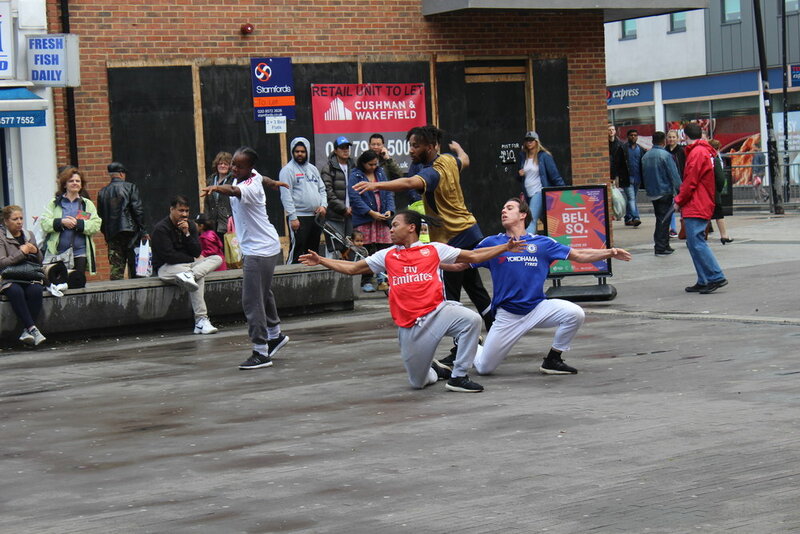 They were assured that there were more performances at 3pm too!  Don't forget - if you want to enjoy our free events in Hounslow you can check up on what's coming up on the web site here. 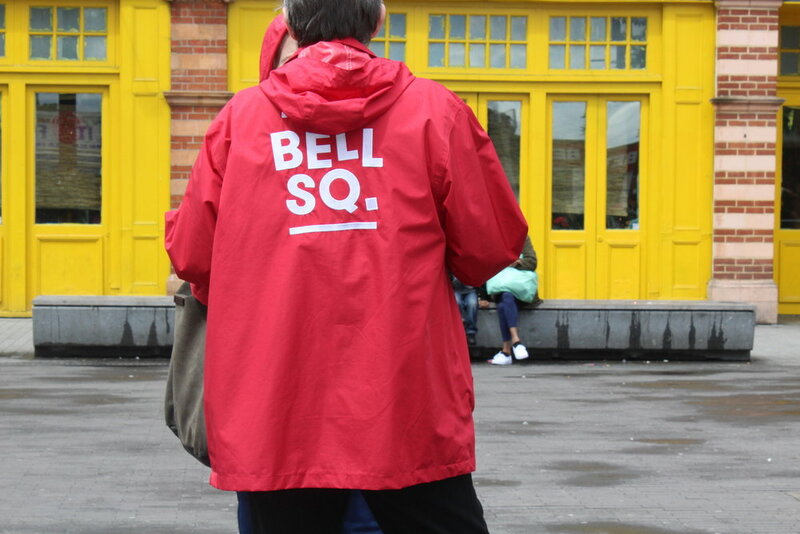 And if you want to come along and take photos or videos, why don't you sign up as a Bell Square London volunteer social media ambassador here? See you at Bell Square soon! Older PostNew for 2017: Bell Square Volunteers - do you want to take part?